I dedicate this week’s post to my Grandmother Impi who passed away the day after St. Patricks Day, only 3 months before her 100th birthday. 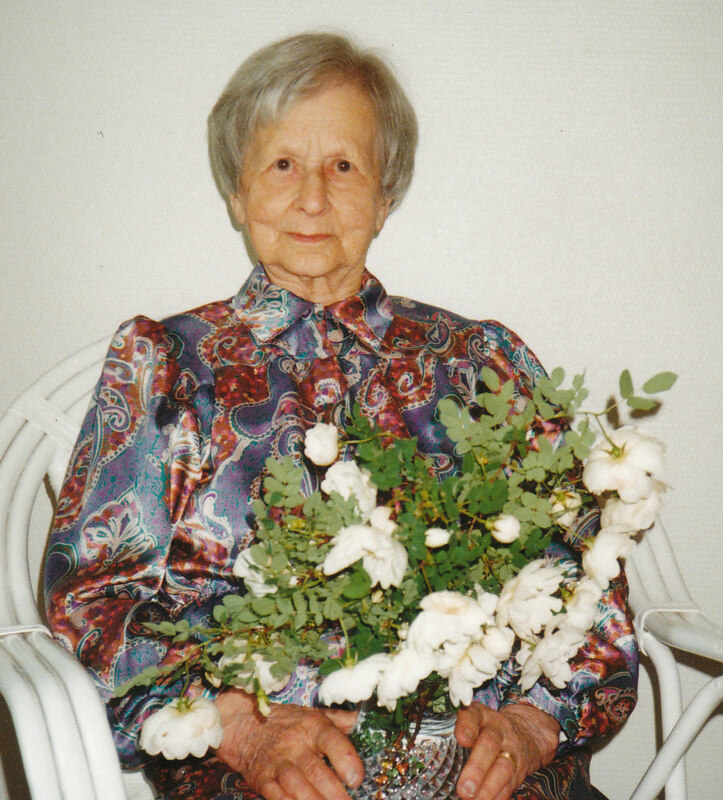 She was laid to rest beside her husband yesterday and on her last journey to Heinävesi graveyard of which snowy grounds were sparkling like a ton of diamonds in the spring sun she was accompanied by the closest family and a very beautifully singing Songbird. It was a graceful journey for the most graceful Lady. 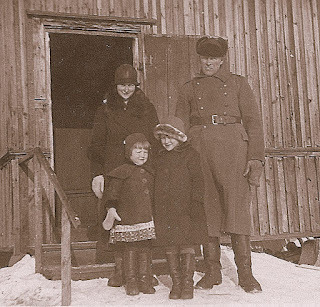 During World War I my Granny’s family was relocated from the war front town Rautjärvi in very east of Finland to her relatives’ house in Heinävesi, in inner country. She was only about 5 back then and not much later she learnt to be a punctual and hard working little helper for her Auntie. Her father wished his sharp daughter would educate herself as a teacher, but between two World Wars an opportunity for it really didn't exist. In her twenties Granny married a handsome, hardworking local farmer and soon gave birth to 4 children. 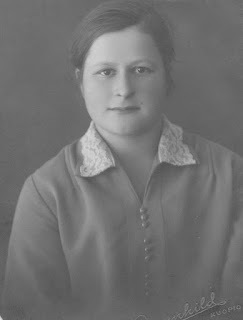 During World War II Granny was a mother, father, farmer, cook, gardener, dressmaker, great neighbour - a few duties to mention - while her husband was at the war front. Grandpa came home safe and together they rebuilt their homeland and raised their 4 children. 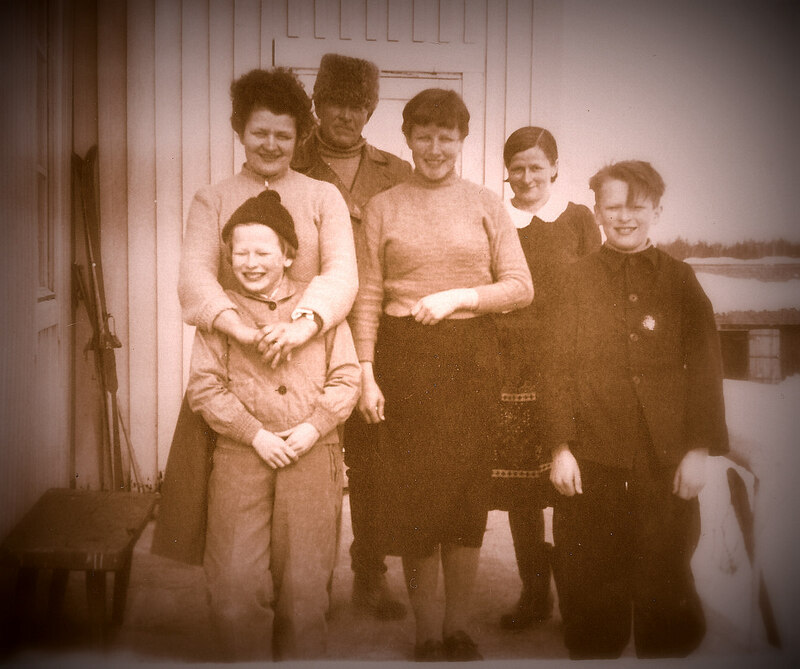 After Grandpa got seriously sick and passed away in late 70’s Granny left the farmhouse and moved to the heart of Heinävesi village, close to his son’s, my Dad’s family. I used to go to her house most weekdays after school and stay until my parents were off work. Granny taught me to sew by her beautiful old Singer treadle sewing machine and to knit and to crochet. Every time I - or anyone else - arrived to her house she put the kettle on and set the coffee table with neatly pressed white linen tablecloth and her beautiful set of floral China. Every afternoon we sat down and had coffee and her homemade buns & short bread biscuits of most perfect shape & flavour and chatted away in sophisticated manner. After the coffee I sewed doll's clothes from fabulous little pieces of fabrics Granny took out of her 'treasure' cupboard. Crochet was her personal passion. 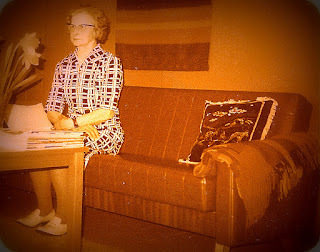 After she gave up the farm and had lots of free time in her hands she filled it willingly with lots of crochet resulting in, among other beautiful things, huge double bed covers for all her children’s households and beautiful full length curtains for her own house. I don’t recall her ever letting a swear word out of her mouth. In joy, sorrow and pain she always kept her straight posture and controlled her voice. She never complained of anything. When anyone asked how she was keeping the answer was always: life’s good, thank you. She never made too a big deal out of anything or fell into an argument with anyone. She was at happiest with her crafts and quiet life. 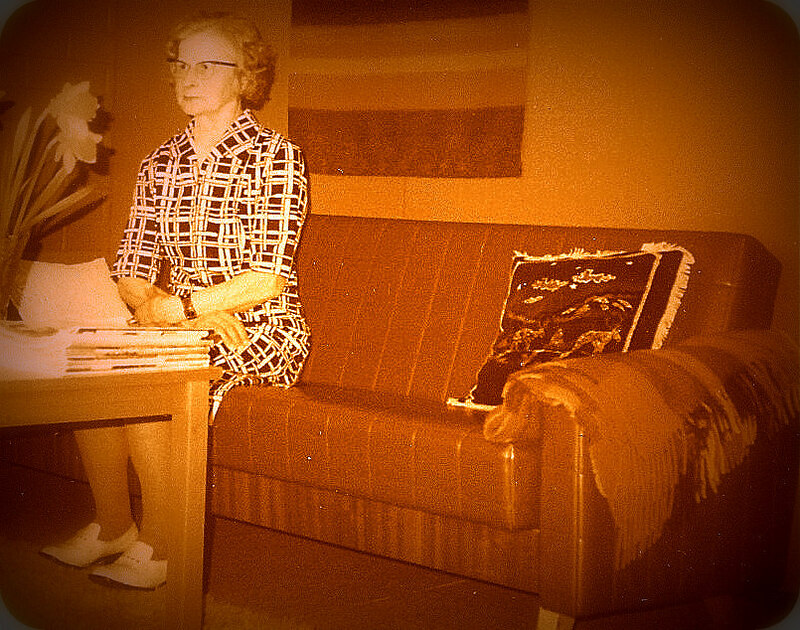 Granny’s clothes were always perfect fit, timeless and elegant. She preferred dresses to trousers that one only could see her wearing in the woods when she went to pick berries – The mosquitoes would have otherwise eaten her alive. She was very skilled in dressmaking and used to make most of her clothes herself. 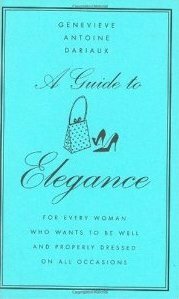 Thinking of Granny inspired me to read through Genevieve Antoine Dariaux’s e-book version of ‘A Guide To Elegance’ – the lay out and illustrations of the book are just fabulous and it's a very enjoyable must-read for any 2012 Lady of any age. Click the image to browse the book on Amazon. All photos attached are from old family albums and taken by unknown photographers. What a wonderful tribute to your Grandmother Heli. I'm sure she would be proud. 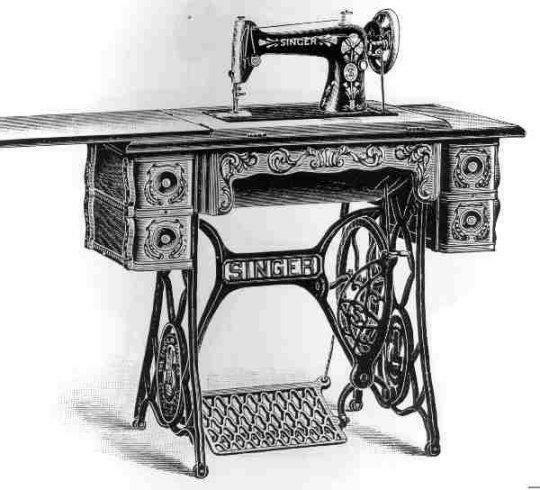 My granny had one of those singer machines too, but I dont think it had the little drawers.